Professor Rudolph Pearson moved to New York City after the Great War, hoping to put his past behind him. While teaching Medieval Literature at Columbia University, he helped the police unravel a centuries old mystery. At the same moment, he uncovered a threat so terrifying that he could not turn away. With the bloody scribbling of an Old English script in a dead man s apartment, Rudolph Pearson begins a journey that takes him to the very beginning of human civilization. There he learns of the terror that brings doom to his world. Gathered here are the weird investigations of Rudolph Pearson. 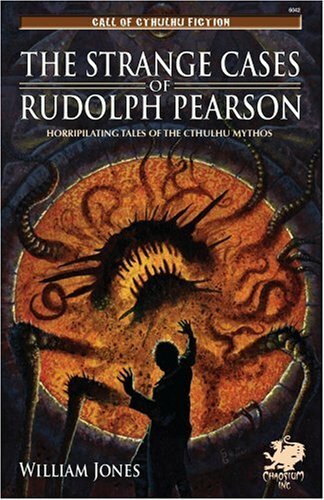 This compilation of cosmic horror and Cthulhu Mythos tales brings to life a world full of the grotesque and the malefic, set against a backdrop of an unknowable universe. Progress can be horrifying.